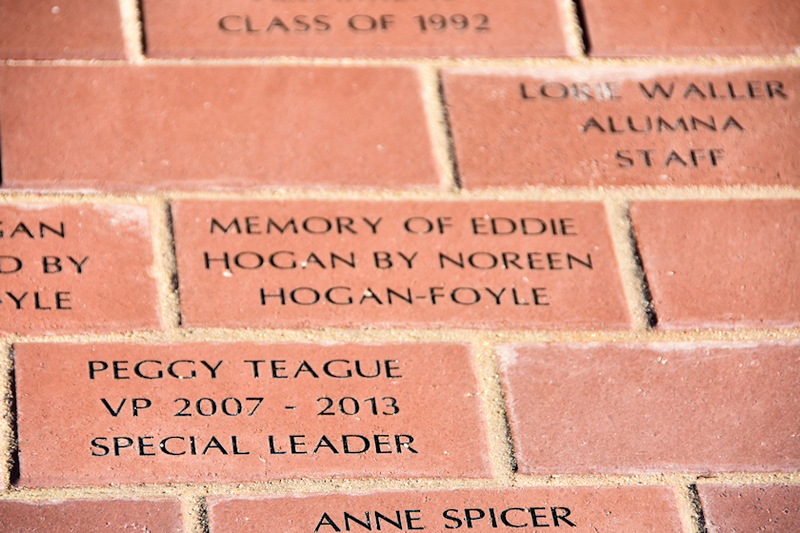 Wayne Community College has rededicated its Hope Monument and revealed a redesigned grid of new tribute bricks. 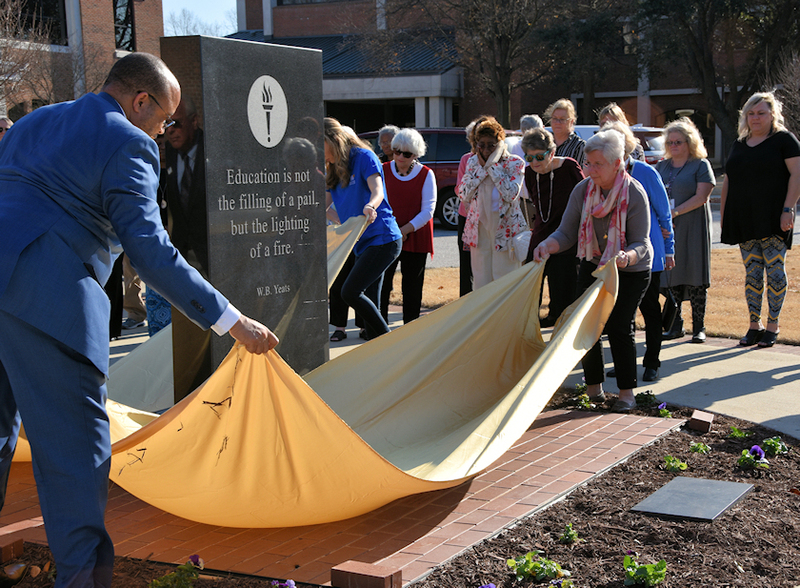 Dr. Thomas Walker, Jr., WCC president, (left) and Betsey Pritchett a college retiree (right), unveil one side of the revamped “tribute garden” surrounding the WCC Hope Monument. Pritchett was the assistant to an instructor whose passing inspired the creation of the Hope Monument and was a participant in the original dedication of the monument in 2007. 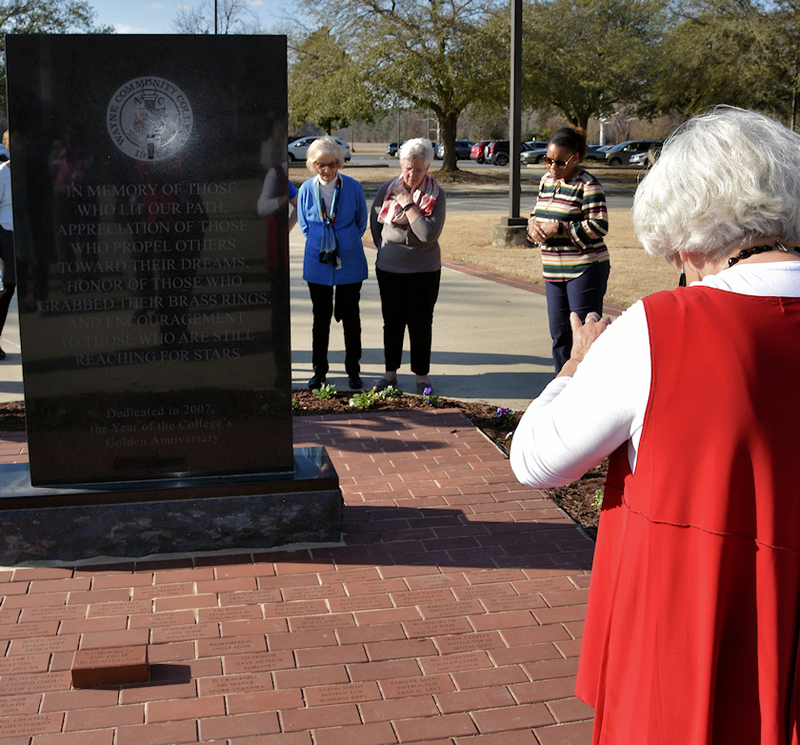 Irma Wiggins, Betsey Pritchett, and Melanie Bell (left to right) look for particular engraved bricks while Liz Meador (back to camera) takes a photo following the rededication of the Hope Monument on the WCC campus. 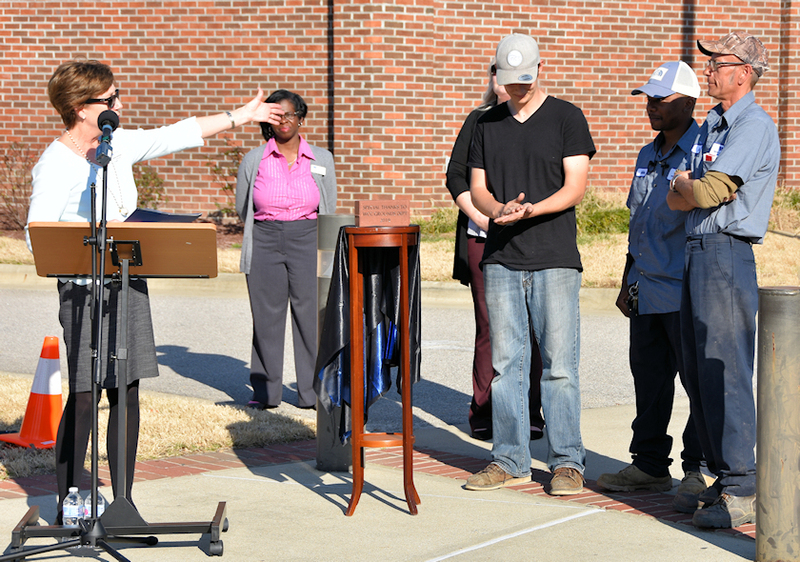 Foundation of WCC Executive Director Adrienne Northington recognizes members of the colleges grounds crew who worked through adverse weather conditions to prepare and install the new brick layout. The Foundation revealed a brick that it had bought in their honor.